i hope you had a great weekend! i was feeling particularly festive over the weekend after decorating my house for the christmas and decided to wear a few of my favorite colors for the holidays. anything red, cream and tartan have my heart and I can't wait for all of the fun parties and soirées over the next few weeks! SO cute! That bow is darling! 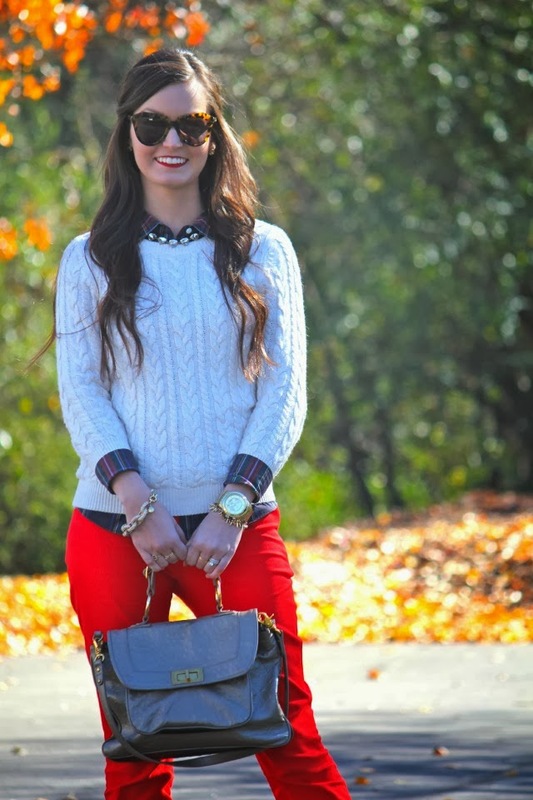 Love the pops of plaid! So cute!! I just did a similar post to this with layering plaid under sweaters... I love it. So pretty!! 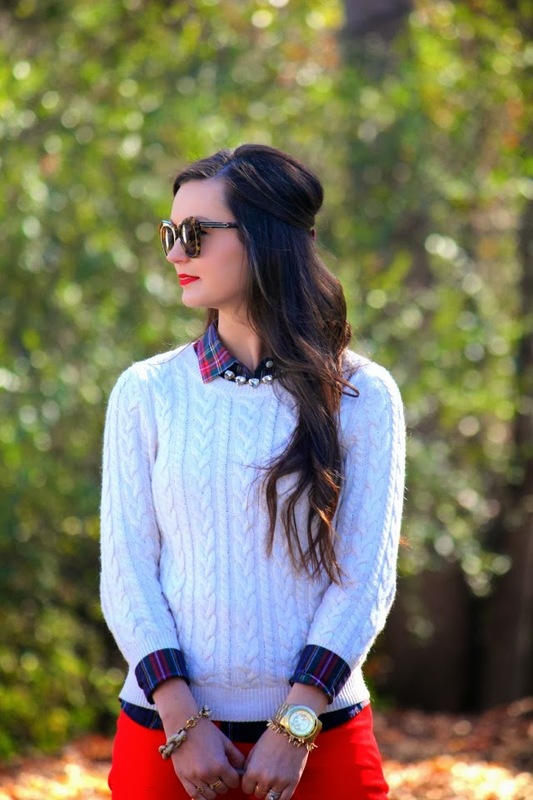 Loving all this plaid especially your cute little bow! Pairing it with the red pants looks amazing! I always love a Rebecca Minkoff bag! My favorite =) Great outfit, love the touch of the little bow! 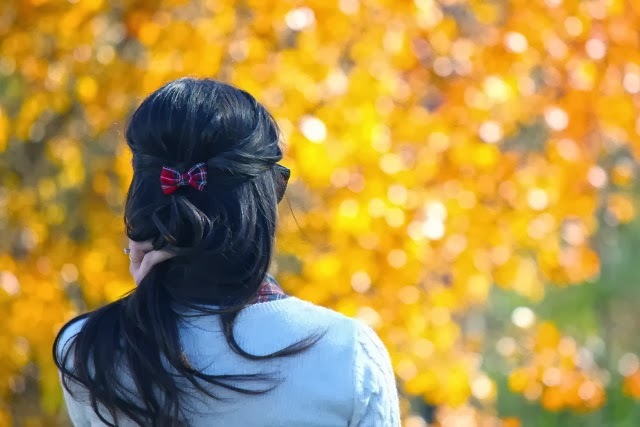 Your hair bow is super cute! So cute! I adore that little bow, I have some polka dot ones from Forever but I will have to look out for a tartan one! 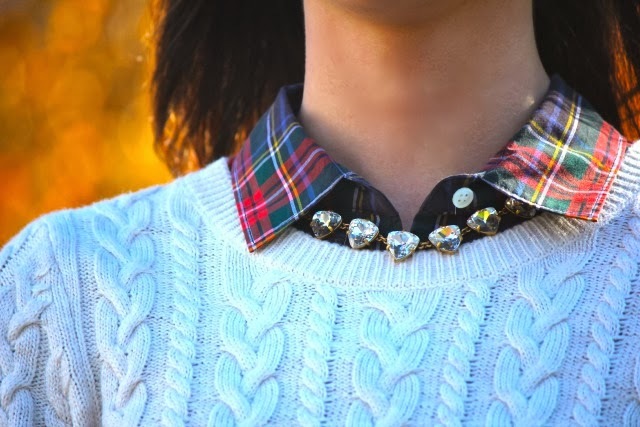 Love the layers and plaid! Very cute bow!! oh my GOSH that hair bow is to die for!! !